The Falcon GBPCAD trading EA trades at the close of the American session and opening of the Asian session. It does not open many orders. The EA uses signals from multiple technical indicators to enter the market. 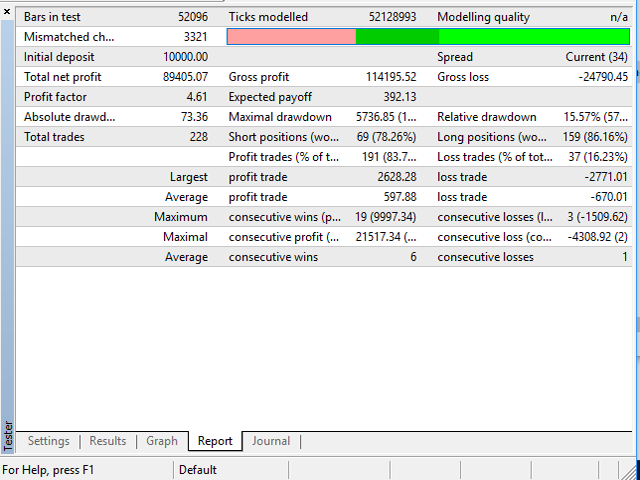 Trades are closed using some trading filters, so stop loss and take profit trigger seldom. 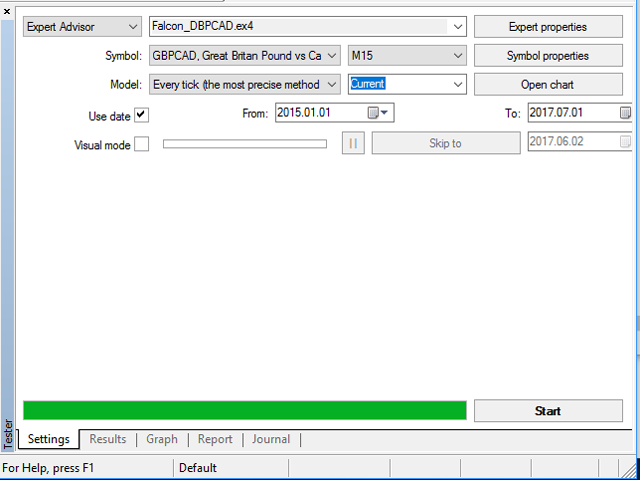 The EA has been developed for trading the GBPCAD pair, so I recommend using it. The EA should better be used on ECN accounts with default settings. For convenience, the EA uses a graphical information panel, which can be turned off if necessary. 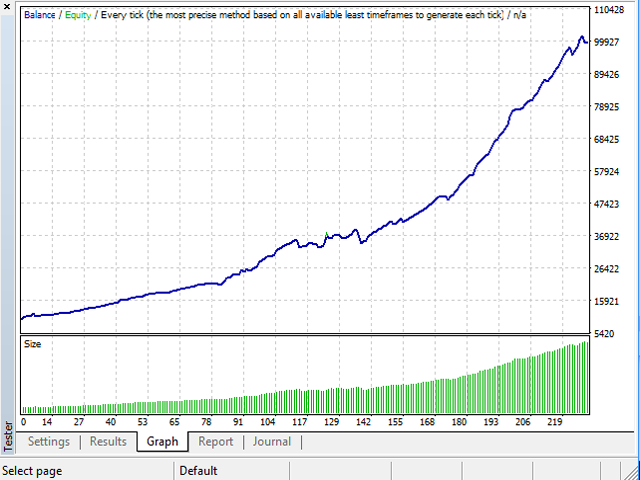 For protection against entries during spread widening, the maximum spread parameter is used. 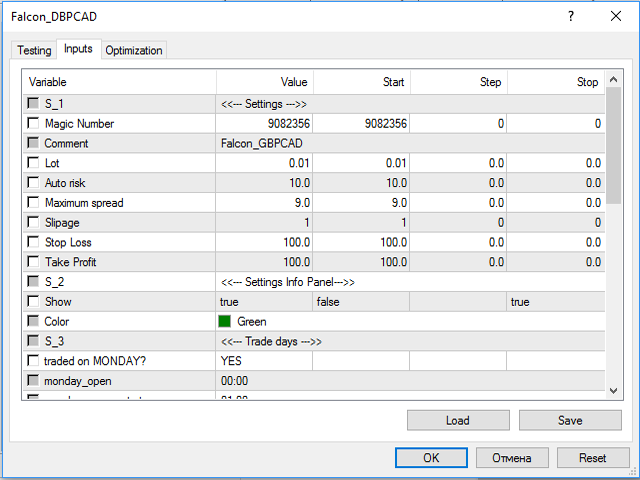 The EA can also be configured to trade on certain days and at specified time.